"The wines of the region are a perfect match to the cuisine, which is a uniquely American blend of the down-home and the elevated." Maryland has four distinct growing regions, allowing for a wide diversity of grape varieties that will thrive throughout the State, namely, the Piedmont Plateau, Western Mountain, Eastern Shore, Southern Plain regions. Still Creek is located just off the shores of St. Clement's Bay and the Potomac River in the Southern Plain region. 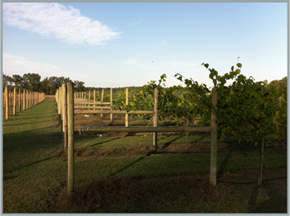 This location is excellent for growing numerous varieties of high quality wine grapes. This region is characterized by long hot growing days and warm nights for most of the summer. It is benefitted by the consistent and regular winds from the nearby bodies of water which contributes to critical vine management and growth. 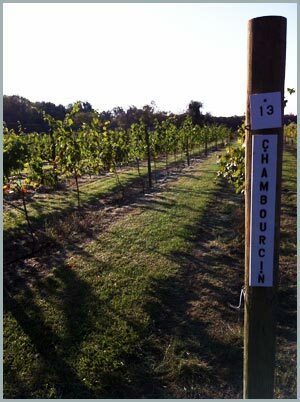 Still Creek Vineyards is striving to be one of the most exceptional vineyards in the Southern Plain region of Maryland. The weak soil at Still Creek – a silty loam - contributes significantly to the "old vine" intensity of the fruit produced by Still Creek's vines. Grape vines grown in weak soils, like those found at Still Creek, tend to produce moderate crops and concentrated grapes. Still Creek's soil is also light and drains easily. The Southern Plain region is also one of the warmest regions in the state. Not only does Still Creek produce fully mature fruit, the warm temperatures keep the berries small, adding intensity to the grapes at harvest.